Pages Manual – step-by-step instructions for creating a basic Facebook page. 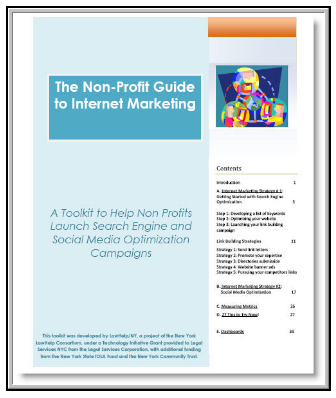 This is a “toolkit to help non profits launch search engine and social media optimization campaigns” created by LawHelp.org/NY. It is a great resource for small organizations that are just getting started with Internet marketing and who have limited budgets. You can download a PDF of the Guide here. In 2010, Smartphone sales beat PC sales, with 100.9 million sold. So how will Smartphone use impact your non-profit? This SmartOnline White Paper offers some insight into how people are using their Smartphones and ideas on what non-profits can do to more effectively reach supporters. For example, it suggests that if you use email marketing extensively, you consider optimizing your emails for the mobile market. 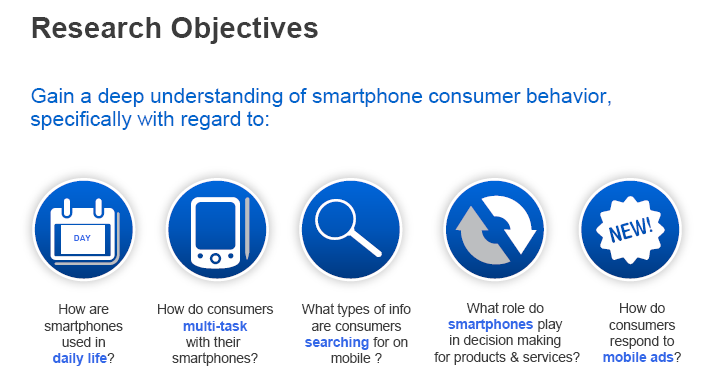 You can download a PDF of SmartOnline’s “A Mobile World: how your supporters are using their Smartphones and why you should care” here. You can preview or download a PPT or PDF of this Google study here.